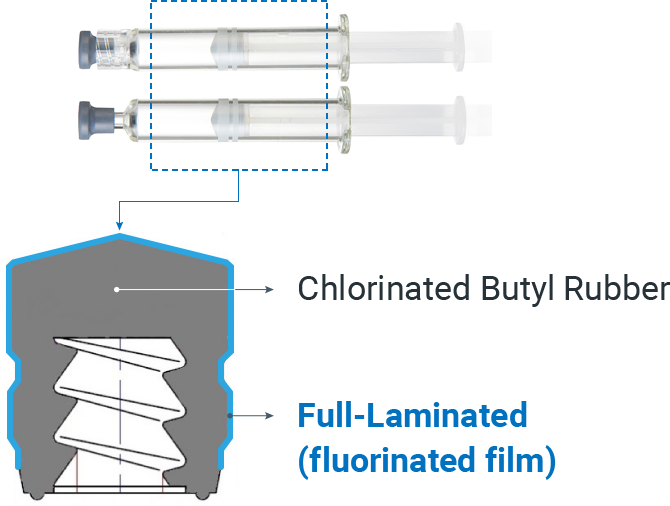 New, Multilayer Material for Syringes & Vials, OXYCAPT™️ | Mitsubishi Gas Chemical Company, Inc. 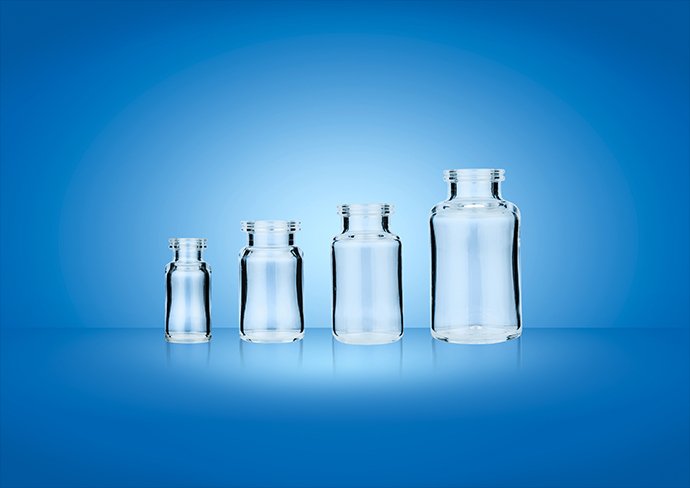 Traditional glass and plastic materials for syringes and vials are filled with problems. Glass suffers from a range of issues—such as high-breakability and poor PH stability—while plastic has an insufficient oxygen barrier and UV barrier. The US FDA and pharmaceutical companies have searched for solutions. Competitors have launched advanced material products, but their imperfect oxygen barriers and stability have been met with criticism. This led to the creation of OXYCAPT™️—MGC’s new, lightweight, multilayer material, with all the benefits of glass and plastic. MGC’s OXYCAPT™️ unites the best qualities of glass and plastic in a three-tiered, multilayer, advanced material that features an excellent water vapor layer made from COP (Cyclo Olefin Polymer) and a glass-like oxygen barrier layer with an oxygen absorbing polymer. With low extractables, low protein absorption, and low breakability, all components come together to produce the best high oxygen barrier material on the market. OXYCAPT™️ provides high oxygen barrier of glass—along with the low inorganic extractables, low breakability, and lightweight properties of plastic. 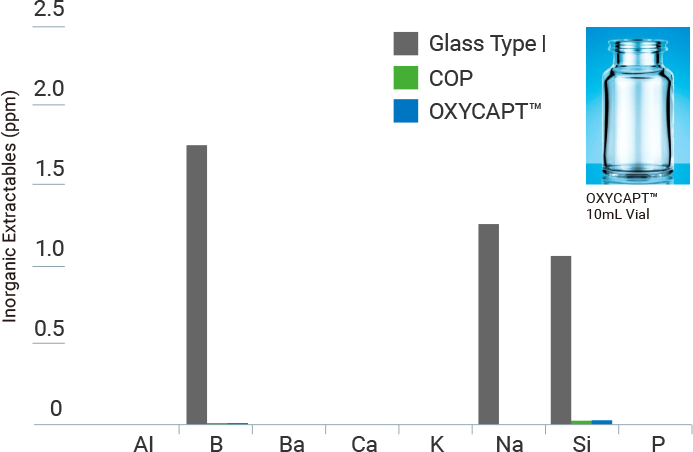 Inorganic low molecular extractables are below that of Type I glass. Excellent UV absorption means drugs last longer, with improved stability and efficacy throughout their lifespan. Also for biologics and biosimilars, OXYCAPT™️’s low extractables, high-breakage resistance, and glass-like high oxygen barrier—plus an improved UV barrier that absorbs UV and preserves drugs longer—make it the best, advanced material. Pharmaceutical companies with epinephrine or emergency drugs like dopamine will also see benefits. What’s more, OXYCAPT™️ has the lowest measurable oxygen permeability on the market. The OXYCAPT™️ plastic syringe features reduced leachable impurities and low extractables. This is made possible by the PTFE stopper coated with slight Silicone-oil, a Polypropylene (PP) plunger rod, and the Silicone-oil free OXYCAPT™️ syringe barrel. Each component works together to produce a high break resistance syringe with glass-like transparency, the best choice for medical, healthcare and pharma industries. 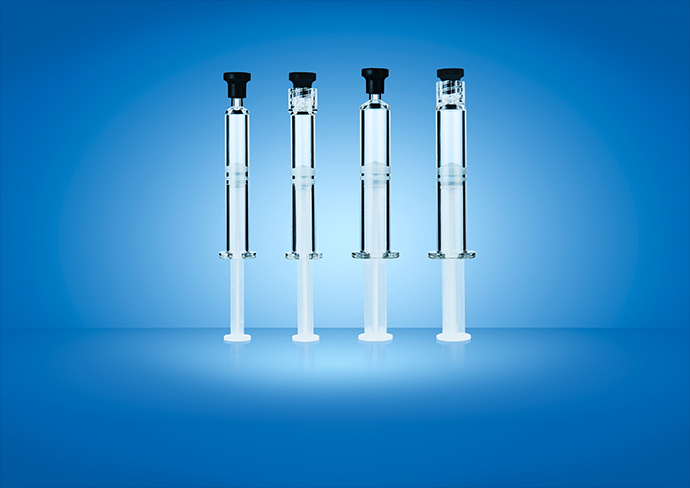 MGC’s OXYCAPT™️ plastic vials are the right solution for parenteral pharmaceutical liquid medication storage. 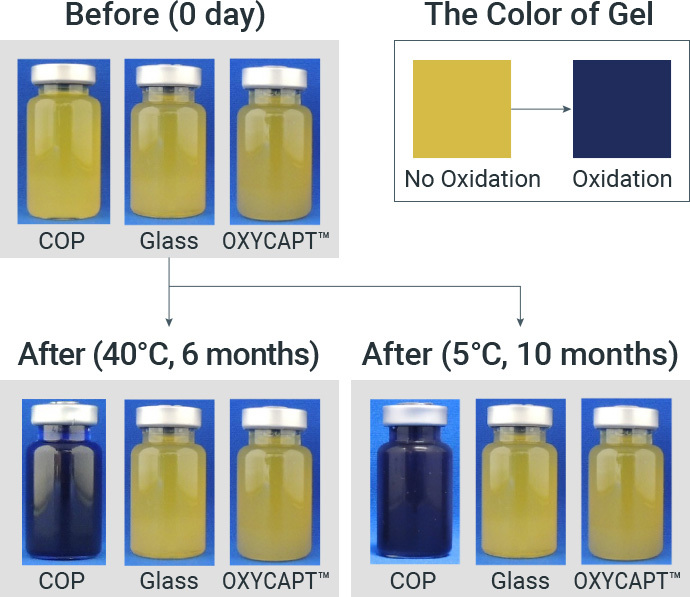 OXYCAPT™️’s multilayer construction preserves drug stability and shelf life in plastic vials, with significantly reduced oxidation, compared to COP. Long-term trials find OXYCAPT™️ eliminates the problem of delamination (visible small flakes and particles from glass deterioration over time) in glass, while maintaining its oxygen barrier. OXYCAPT™️ also resolves poor stability and low visibility issues found in plastics. OXYCAPT™️’s vials and syringes feature the market’s best oxygen barrier, which equals glass and outperforms COP and COP/PA. 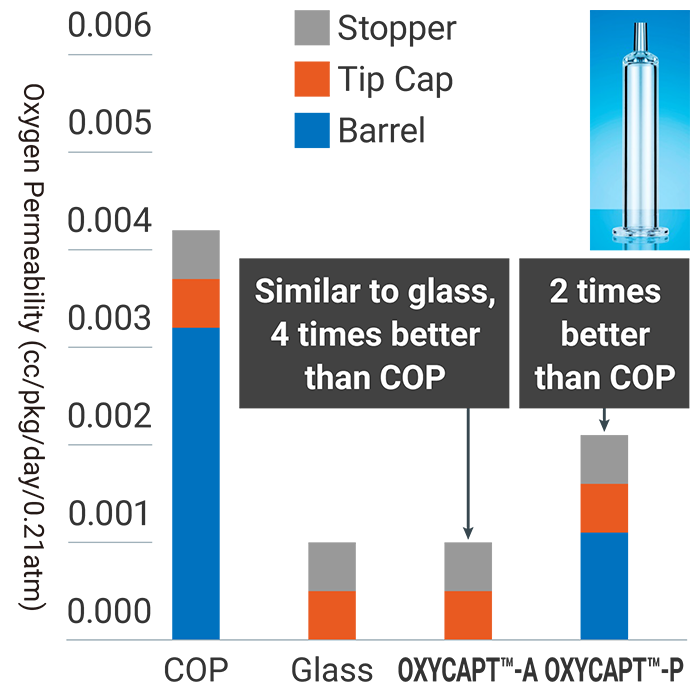 In vials, OXYCAPT™️’s extremely low oxygen permeability ranks as 100 times better than COP, while OXYCAPT™️’s oxygen permeability from the barrel in syringes is almost zero, similar to glass’ already high performance. 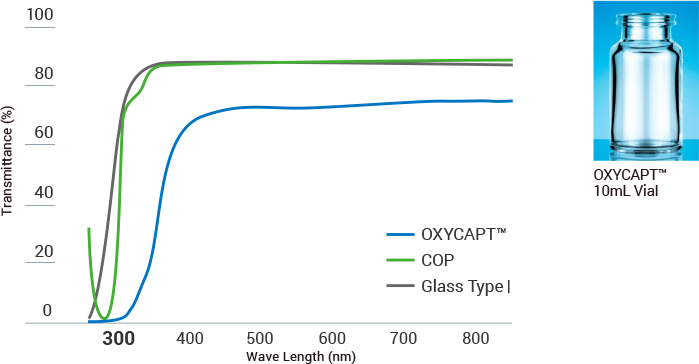 OXYCAPT™️ has the lowest oxygen transmission rate, equal to Type 1 Glass and better than COP plastic. The result ensures consumers, pharmaceutical companies, biopharmaceutical companies, and entrepreneurial ventures looking to deliver biosimilars and biomedicines of advanced biologics, receive effective medication after longer periods of storage time. Pharmaceutical companies heavily focus on improving UV barriers of packaging container materials because UV deteriorates drug contents and stability. Through UV absorption, OXYCAPT™️ protects drugs better than COP and Glass Type I by cutting off UV light below 300 nm. Increased scrutiny by regulators has led the medical, pharmaceutical and biopharmaceutical industry to focus on inorganic extractable assessments to ensure patient safety and drug interaction. 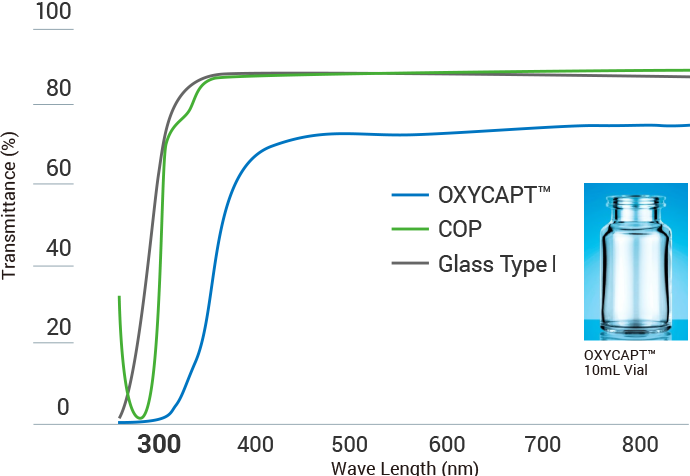 OXYCAPT™️ outperforms all plastic and glass advanced materials—including Type 1 Glass, COP, PP, and PE—currently on the market.